Do you need an ArtCAM® alternative? It has come to our attention that Autodesk discontinued ArtCAM, and you might be looking for an alternative. Good news! RhinoART from MecSoft is available and supported! RhinoART is included with RhinoCAM. RhinoART or RhinoCAM-ART is a separately priced module within RhinoCAM that is used to convert artwork into geometry suitable for machining. This module introduces exciting new modeling techniques for modeling artistic shapes using raster bitmap images. 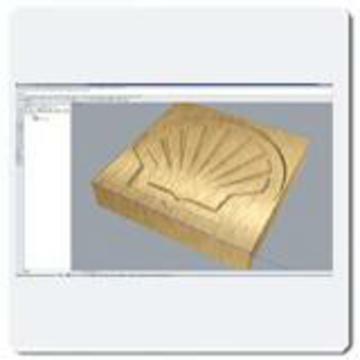 Used in conjunction with RhinoCAM’s 3D modeling tools, it offers a complementary set of modeling techniques for jewelry design, sign making and model making.